You can tell I’m really getting settled in Portland as I’ve started fermenting things again. While I was in Arizona in November, I picked up about 17.5 pounds of mesquite honey. On it’s own, it’s delicious. Fermented into an alcoholic beverage, however, I’m told it’s fantastic. I set two batches a-brewin’ as you see in the picture. 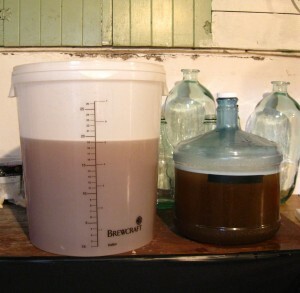 A larger five gallon batch (12.5# of honey) started off with a Lalvin EC-1118 yeast strain (vigourous ferment, should have no trouble completing) is on the left. 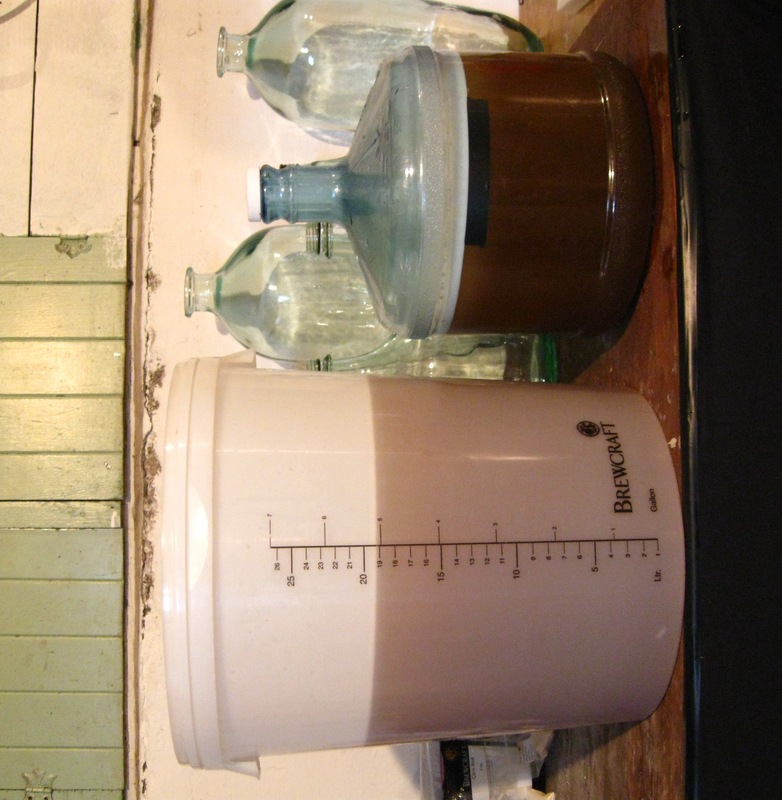 A two gallon batch (5# of honey) using a Lalvin D47 yeast strain (more fruit and aroma development, and with any luck, the yeast will kick out when there’s just a touch of residual sugar left) is on the right.